Please join us and 20,000 other groups for a Public Square Rosary Crusade to celebrate the 100thAnniversary. Saturday, October 14th at St Catherine Of Siena Parish, 1023 Parker St., Springfield at noon. For more information please contact Kathy Canavan at 413-328-9593. CROP Hunger Walks are interfaith events that build community while raising funds to end hunger in your community and around the world. Everyone is welcome! This year, Judy Lloyd, Director of Spiritual Services, will be walking on October 15th to represent St. Catherine of Siena. If you would like to join Judy and/or to sponsor her for the walk, please call 783-8619. For more information or to register online please go to crophungerwalk.org. St. C Baseball & Soccer Sign Ups will be held in the Parish Center Lobby on January 30th, February 1st, 7th and 10th from 6:30-7:30p.m. and on Saturday February 18th from 10:00a.m.-noon. The countdown is on! Super Bowl Sunday falls on February 5th this year. Last year the FBI Youth Ministry participated in the Souper Bowl of Caring fundraiser and, thanks to your generosity, they raised $461.71 to support the Open Pantry. Once again, the FBI Youth Ministry kids will be present, with soup pots in hand, following all Masses on the weekend of February 4th & 5th to accept your generous donations for this worthy cause. The need is greater than ever this year. This is just a reminder that there’s still time to get in shape, dust off your uniforms and join the team to help tackle hunger in our community. Concerned about the homeless? Please join us for an informative talk on Tuesday, February 21 at 9:30 AM in the Fr. Griffin Room. Sarah Tanner, Development Director of the Friends of the Homeless, will discuss the state of homelessness in the greater Springfield area and how Friends of the Homeless is providing for those in need. Coffee will be served. Call Judy Lloyd at 783-8619 if you have any questions. On February 1st, the Springfield Rescue Mission is kicking off its yearly Hope Tote campaign. Purple Hope Tote bags will be available in the church lobby. Please take a bag, fill it with toiletries and return it to the church lobby. Items in need: shampoo, conditioner, toothbrushes, toothpaste, soap and body wash, brushes, combs, tissues, deodorant, disposable razors, shaving cream, body lotion, body powder, lip balm; also underwear and socks for men, women and children. Both trial size and full sized products are needed. Thank you for your help! We are looking for volunteers to head up a garden club at St. Catherine’s. In the Spring, there will be a number of spaces available to plant your favorite vegetables, flowers, or herbs. The former pool area has been transformed into an enclosed garden, complete with a white picket fence. Anyone interested in becoming a member of the “garden club” and would like to have a plot or two, should contact the Parish Office at 783-8619. Once we have gathered the names of all those who are interested we will set an initial meeting to start planning for the planting season! You are cordially invited to the Saint Catherine of Siena annual evening of Lessons & Carols for the Epiphany, Sunday, January 8, 2017 starting at 4 PM. This is a beautiful time to sit and reflect on the spirit of Christmas with an evening of beautiful readings and music performed by the youth and adult choirs of the parish. There will be refreshments and an opportunity for fellowship immediately following the program. There is no cost to attend but non-perishable food item will be welcome. Any youth or adult who are interested in volunteering to participate in this event are most welcome. We need readers, singers, greeters, ushers, bakers and alter servers. If interested please contact Susan parent at 348–7800 or the parish office at 783–8619. Not sure how Dave Cross pulled it off, but we have it on good authority that Santa will be taking some time off before Christmas and making the trip down from the North Pole to enjoy a plate or two of pasta. Stop by and grab a picture with the "big man" - bring your list too! As the cold weather quickly approaches, the Youth Ministry Team needs your help. 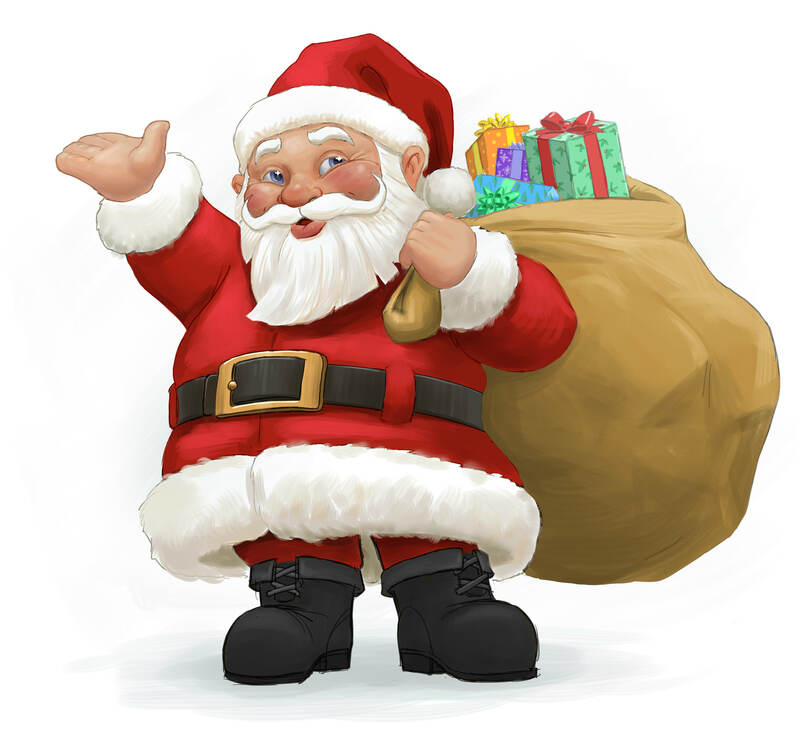 They are collecting new hats, gloves or mittens and and socks to make Warm Wish Bags for the less fortuante of our community. there will be a display in the Church lobby for you to drop off donations. Thank you in advance for your help. The Women’s Guild invites all parishioners, families and friends to join them at their Christmas Party that will be held at the Ludlow Country Club on Sunday, December 4th at 12:00 PM. Your meal options are: Roast Sirloin of Beef for $16; Stuffed Breast of Capon for $16; or Grilled Swordfish for $17. There will be a Yankee Swap gift exchange ($10 value), which always provides loads of fun and laughs. Please bring a new unwrapped toy to donate to the Gray House. Tickets are available at the Parish Office until November 28th. St. Catherine of Siena Youth Ministry (F.B.I.) 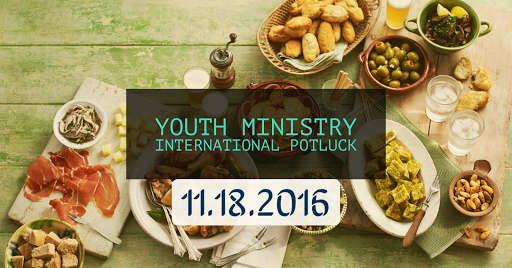 invites you to a Thanksgiving "International" Potluck on Friday November 18th at 6pm, in the Parish Center. 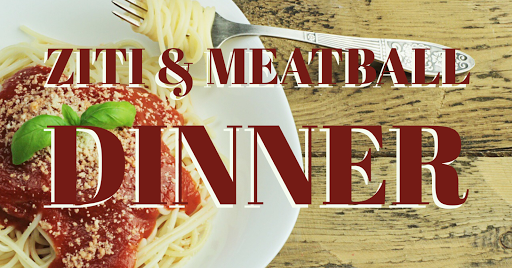 Bring a friend and a Dish to share and join us for a night of food, friends and fun. The 2nd of November is the Memorial of The Commemoration of the Faithful Departed, the day the Church sets aside to recall all her sons and daughters who have died. It is also the day that St catherine’s remembers in a special way her parishioners who have been passed away throughout the year. During the 9:00 AM Mass their names were solemnly proclaimed and a candle was lit in their honor. We were also very fortunate to have many of our friends and family members choose to join us for a light reception of coffee and danish in the West Wing after the conclusion of this faith-filled Mass of Remembrance. We invite you to come and enjoy some good food prepared by Dave Cross and his team, visit with some old friends, and make some new ones! Dinner to include ziti, meatballs, tossed salad, bread and dessert. Adults $7 - Children (under 12) $4 - $1 off with a food donation for the Survival Center. Tickets available at the Parish Office (413) 783-8619. We invite you to an afternoon of faith, family, food, and fun. Please join us in and around the parish center. Pulled pork, kielbasa, smoked turkey legs loaded baked potatoes, and pumpkin pie are just some of the items on our menu. There will be pumpkin painting and bounce house for the kids. We will even have the Patriots game playing for our sports fans!! Please spread the word and support our parish sponsored event! $10 Adults and $6 for kids under 12! Tickets are available after all masses, in the parish center, and by calling 783-8619 or 374-5358!